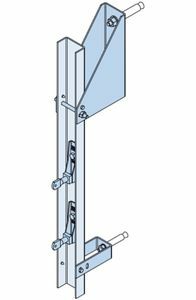 Standard Halfen Sub structure systems typically consist of a series of vertical rails hung from the structure to which wall panel support and restraint brackets are fixed. The vertical rails are fixed back to the structure at comparatively large spacings, reducing the number of connections to the structure. This has the advantage of reducing the number of penetrations through the building’s weather proofing and insulation layers, thereby minimising the number of thermal bridges. 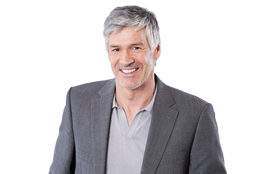 This assists with the system’s compliance with the German Energy Saving Regulations (EnEv). 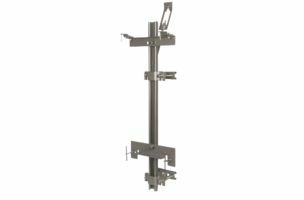 Halfen Sub structure systems are also suitable for spanning non-loadbearing building elements. 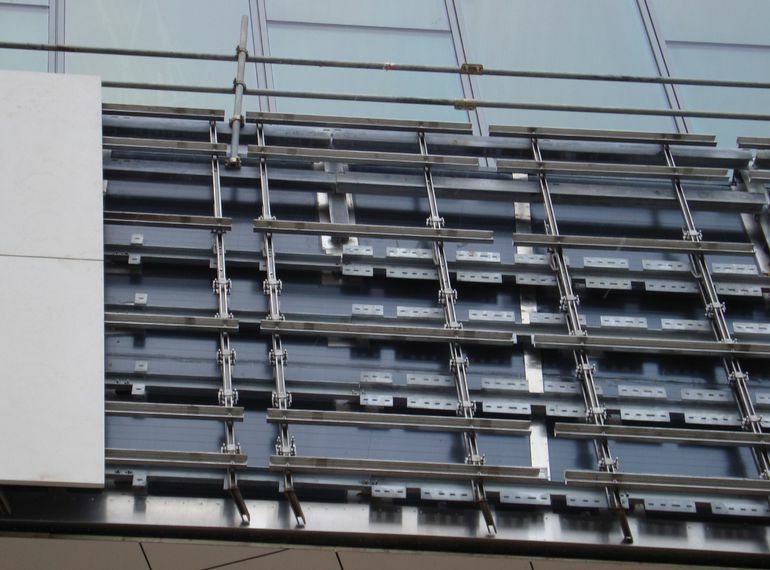 Furthermore, the use of a pre-installed sub structure system allows fast and economical installation of the cladding panels. The HALFEN SUK stainless steel system is an extremely durable system suitable for use in harsh environments and to take high loads. The HALFEN UKB aluminium system is an installation-friendly and cost effective variant. 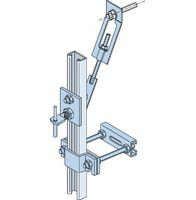 The HALFEN SUK system is an adjustable suspended channel system suitable for cavities >160mm, with support and restraint fixings which are adjustable vertically along the channel. It is ideal for both new construction and projects using an existing structure. The system is especially suitable for natural stone facades with large and varying distances between the façade and load bearing structure. 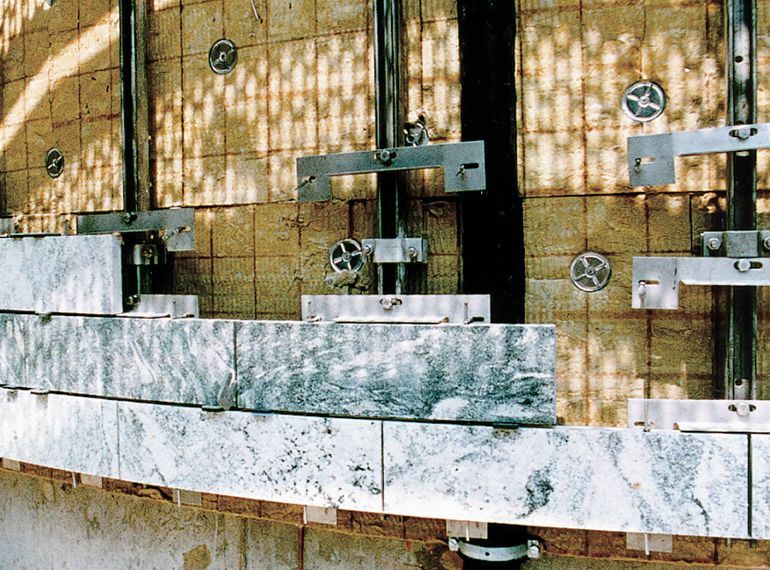 The minimal number of connection points allows speedy installation of the stainless steel substructure enabling quick and simple installation of the natural stone panels. environmental conditions, protection against surface corrosion must be considered, for example using barrier tape.